Michael Wilson of Eastbourne (fl1585) was the son of a Glasgow burgess and studied at the University in 1585. In 1617 he mortified a sum of not less than £500 for the repair of buildings and to support students at the University. 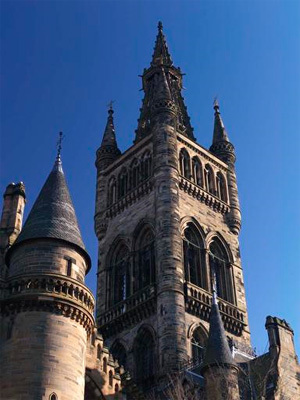 The University experienced difficulties in recovering the money from England, apparently after a bond was stolen from Principal Robert Boyd's chamber, but Sir William Alexander and Sir James Carmichael were able to intercede at the Court of James VI and I to secure the payment.